Price per 1pc. 0.7uH (micro henry) 0.6mm aircore inductor (coil), for gainclone projects (LM3886, LM3876, etc.) Made by LJ Audio Note: Lapisan email (lapisan isolasi luar) kawat tembaga harus dikerik dengan kikir/cutter supaya ..
Price per 1pc. 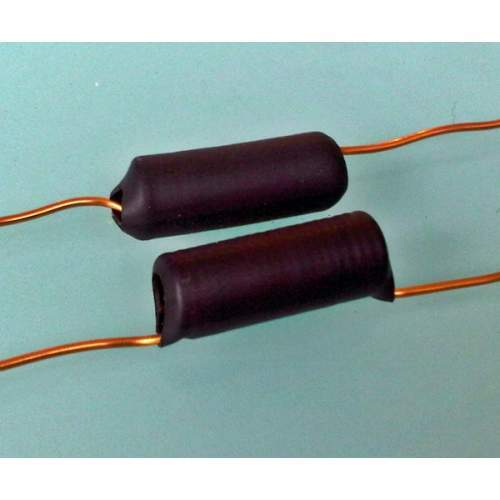 0.7uH (micro henry) 0.8mm aircore inductor (coil), plus 10 ohm 2W resistor, made by LJ Audio. For gainclone projects (LM3886, LM3876, etc.). Note: Lapisan email (lapisan isolasi luar) kawat tembaga harus dik..
Price per 1pc. 0.7uH (micro henry) 0.8mm aircore inductor (coil), for gainclone projects (LM3886, LM3876, etc.) Made by LJ Audio. Note: Lapisan email (lapisan isolasi luar) kawat tembaga harus dikerik dengan kikir/cutter supaya..
Price per 1pc. 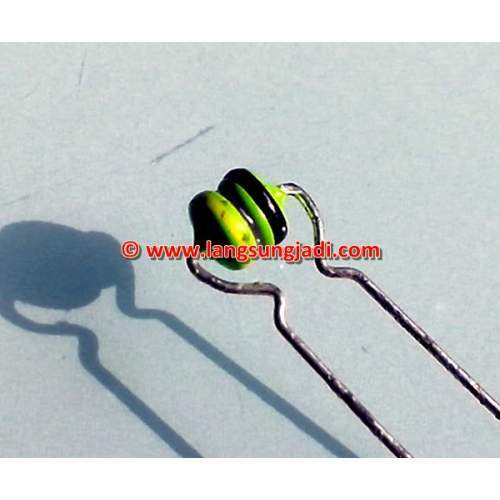 0.7uH (micro henry) 1.0 mm aircore inductor (coil), plus 10 ohm 2W resistor. For gainclone projects (LM3886, LM3876, etc. ), made by LJ Audio. Note: Lapisan email (lapisan isolasi luar) kawat tembaga harus d..
Price per 1pc. 0.7uH (micro henry) 1.0mm aircore inductor (coil), for gainclone projects (LM3886, LM3876, etc.) Made by LJ Audio Note: Lapisan email (lapisan isolasi luar) kawat tembaga harus dikerik dengan kikir/cutter supaya ..
Price per each (1 pc), CALL. 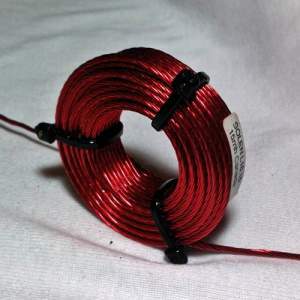 47uH color coded axial lead inductor 5% tolerance Application: i.e. DAC filter Note: The picture is not actual value ..
Price per each (1 pc), CALL. 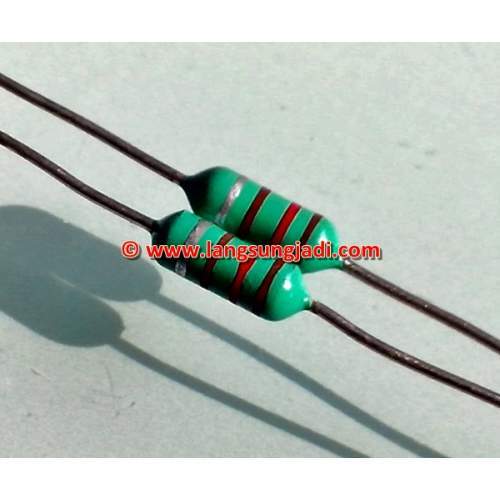 47uH color coded axial lead inductor 10% tolerance Model: 0410 Series Dimension: 4x10 mm (D, L) Application: i.e. DAC filter Note: The picture is not actual value ..
Price per each (1 pc), CALL. 100uH color coded axial lead inductor 10% tolerance Model: 0410 Series Dimension: 4x10 mm (D, L) Application: i.e. 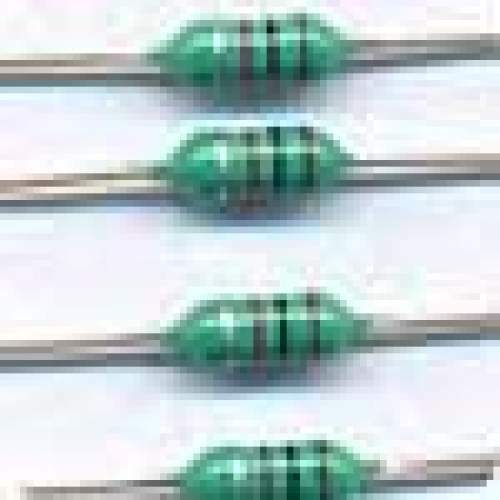 DAC filter Note: The picture is not actual value ..
Price per each (1 pc), CALL. 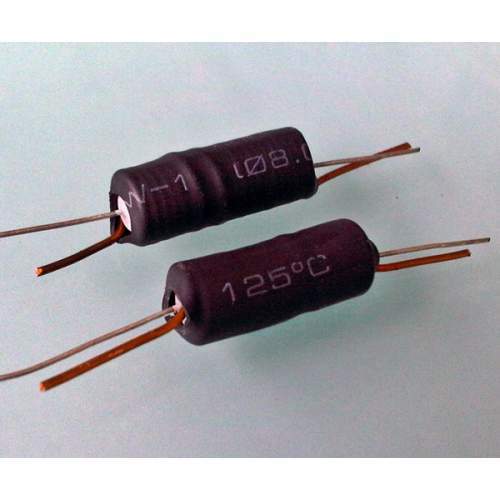 120uH color coded axial lead inductor 10% tolerance Model: 0410 Series Dimension: 4x10 mm (D, L) Application: i.e. DAC filter Note: The picture is not actual value ..
Price per each (1 pc), CALL. 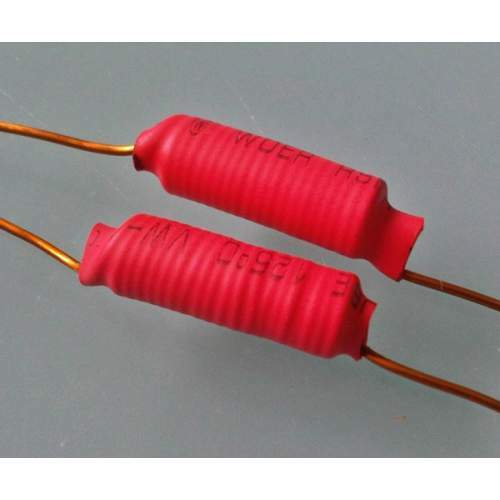 150uH color coded axial lead inductor 10% tolerance Model: 0410 Series Dimension: 4x10 mm (D, L) Application: i.e. DAC filter Note: The picture is not actual value ..